Join us for an evening exploring the ancient science of Tibetan Medicine, where we will discover the keys to understanding the interdependence of mind and body and how to develop balance for a happy and healthy life. Tibetan Medicine is one of the world’s oldest known medical traditions with an unbroken transmission of knowledge to the present time. It is a unique, integrated system of health care utilizing treatments of diet, lifestyle, herbal medicine and therapies. This is a rare opportunity to learn directly from an eminent Tibetan physician in his only public lecture in Brisbane. Dr (Ven) Bhaye has taught and given presentations on Tibetan medicine around the world on behalf of Men-Tsee-Khang, the world’s leading institution for the study and promotion of Tibetan medicine and Astro science. 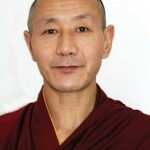 This highly respected physician completed a 6 year training in traditional Tibetan medicine in Dharamsala in 1992. Since then he has worked as a Tibetan Doctor and held senior positions in Men-Tsee-Khang. In 2011 he was appointed as Visiting Physician to His Holiness the Dalai Lama.